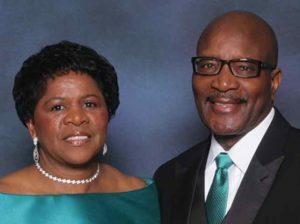 In 2015, Willie and Sharon Brinson, Jani-King of South East Mississippi franchisees, landed a local high school contract and began laying the groundwork for more business. The Crown Club winning couple knew that if they provided great service, more schools would follow. That time has come and the Brinson’s business is booming. The Brinson’s won the contract for the middle school and were all set to begin providing services in March of this year. However, in early February the couple received a call from the middle school principle asking Jani-King to step in immediately because of deteriorating service from the other company. The Brinson’s jumped into action and came up with a plan for a one-time clean service for that month. The Brinson’s have proven their hard work and commitment to customer service is paying off and they have now set their sights on the entire school district. Having those opportunities to grow and having the support of the regional office is what the couple loves most about owning their own business.